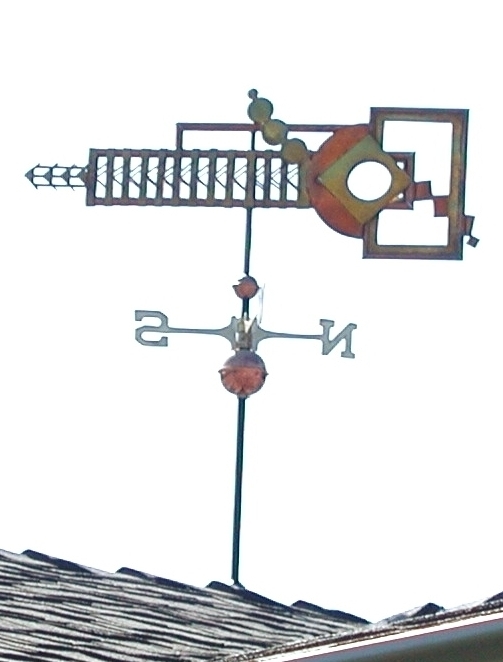 The Art Deco Weather Vane showcased here was designed by an architect whose work is informed by the Art Deco Arts & Crafts Movement. It captures the signature use of geometric forms and conveys a nice sense of energy and when silhouetted against the sky, the effect is lovely and dramatic. This is one of our favorite designs, so much so we have one in our personal collection. Ours was made with some optional gold leaf. 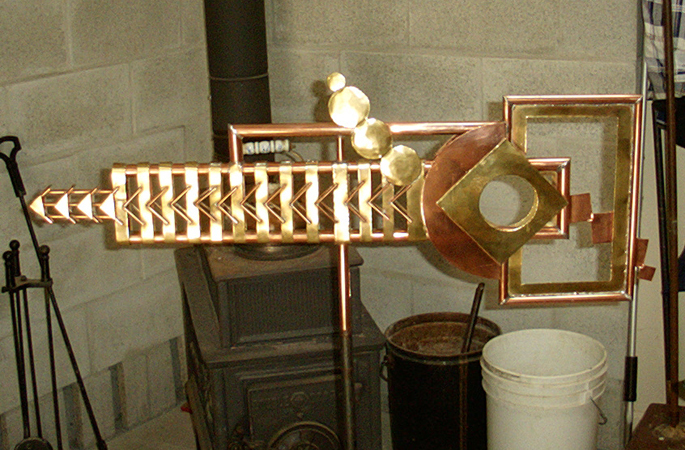 You can choose whether we make yours in all copper, copper and brass, and/or add optional gold or palladium leaf. 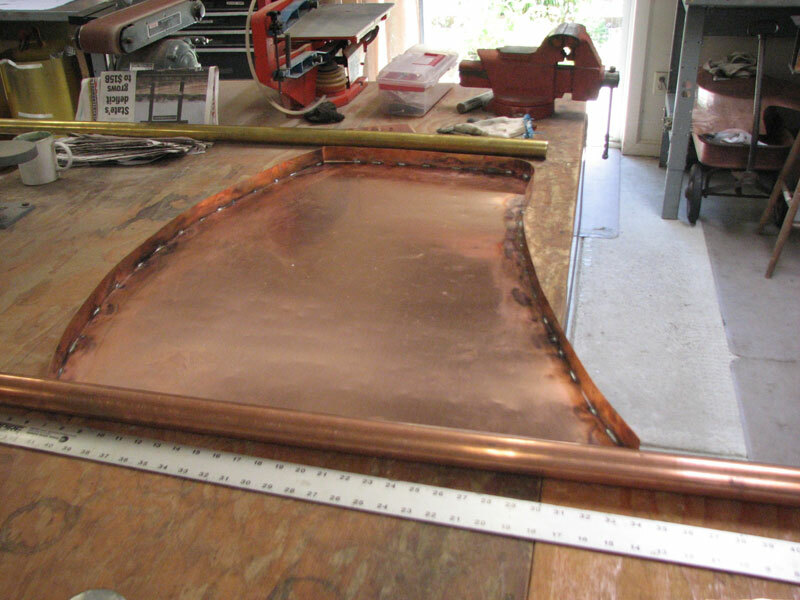 It is a structural challenge to pierce the field of a banner with cutouts and maintain the integrity of the weathervane. 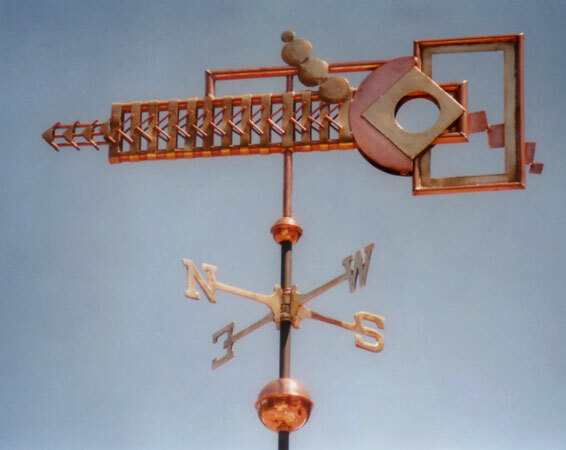 However, if carefully designed and crafted, it is possible to make use of negative space without compromising the weathervane’s strength in high winds. This design and those that employ ‘boxed’ construction successfully overcome this potential obstacle. Art Deco was a popular international art and design movement from 1925 until the 1940s, affecting the decorative arts of architecture, interior design and industrial design, as well as the visual arts. At the time, this style was seen as elegant, glamorous, functional and modern.